We are happy to announce immediate availability of Zentimo 1.6! This version mainly contains speed improvements and fix for critical bugs so it’s highly recommended to upgrade. The program device scanning mechanism was optimized for speed. Now the program scans for hardware changes more quick while loads the system less. We have just released a small fix for the version 1.6. This release has some language improvements and a minor bug-fix: the program could display the technical error when faulty device is connected or the computer is heavily loaded by another application. This update is also free for those whose license upgrade period is ended between December 26th, 2011 and today, May 29th, 2012. Note! Due to importance of this release license keys with the update period expired between December 26th, 2011 and May 29th, 2012 are still eligible for this upgrade. Хотелось бы узнать, планируется ли реализация сортировки программ в меню быстрого запуска и горячие клавиши на эти программы? Да, мы добавили это в список пожеланий, но думаю что это не в самых ближайших версиях. I have “Version 1.4 Released August 30, 2011”, installed on my system, “Tuesday, ‎September ‎20, ‎2011, ‏‎8:58:40 PM”. Is this install eligible for the upgrade? Zentimo has been a good investment, so far. It’s better to read your license key email, here’s specified what your license key is and how long it’s eligible for upgrades. If you lost your license key email, try to restore it here. In late May, I have ended one-year subscription for updates … Are there any benefits for the extension subscription or need to buy a new license? I think there’s no benefits for you to extend subscription until we do not release the new version. I have 1.2.1.1125 and when I try to install the download I get the error: The setup files are corrupted. Please obtain a new copy of the program. How shall I deal with this? Do I need to download the whole program new? У меня подписка заканчивалась 25.04.2012. Теперь Zentimo пишет мне, что она не зарегистрирована. Если я правильно понял, то “обновление доступно даже для тех лицензий у которых срок обновлений истек между 26 декабря 2011 и 25 апреля 2012”. Повторный ввод ключа не помогает. Может я что-то не так понял? Евгений, попробуйте загрузить самую свежую версию (номер версии должен быть 1.6.2.1218), в ней не должно быть этой проблемы. Да, действительно есть проблема с такими “пограничными” лицензиями. Я сделал новый лицензионный ключ, действительный для данной версии и отправил его Вам, используйте пожалуйста его вместо старого. Приношу извинения за доставленные неудобства и приятной Вам работы с Zentimo! Большое спасибо. Всё сработало. Отдельное спасибо за оперативное решение проблемы. The 1.6.2.1218 prevents the shutdown of Windows 7 32bit. Please make sure you have the old version downloaded before installing. If Zentimo is ended prior to shutdown there is no problem. Time without Zentimo – less than 30 seconds. With Zentimo – no shutdown after 1 hour. Wolfgang, the build 1218 shouldn’t prevent the OS shutdown, since we fixed this problem in this build. If you encounter this problem in this build please send us the report from the program. In order to send the report you should proceed to “Main menu -> Help -> Report a bug”, and in the opened dialog enter your e-mail and a short description of the problem. This helps us to investigate the problem more detailed. I found the reason for the shutdown problems. The cable connecting my USB 3 PCI-E-Card had slipped off. In daily use that did not show because all devices were attached via 2 hubs with their own energy supply. So this definitely has not been a software issue. It just occured at the same time Zentimo was updated. Maybe you should add this to your checklist. Wolfgang, thanks for the information and enjoy working with Zentimo! У меня сложилось впечатление, что при использовании опции “Сообщить об ошибке в программе..” программа приложила не только указанный ею файл отчета Zentimo.log.txt, но и тайно, не спрашивая пользователя, забрала файл ZentimoService.log.txt. Да, это так, к отчету разумеется прилагается еще и ZentimoService.log.txt – лог вспомогательного сервиса программы. Мы разумеется приносим извинения за “тайную” отправку файла, но в действительности в этом файле нет абсолютно никаких личных данных, кроме кратких записей о ходе работы сервиса. Именно поэтому нам ранее в голову не приходила мысль, что мы его отправляем “тайно”. Постараемся исправить это в следующей версии. Просто программа явно указывает Zentimo.log.txt, а о ZentimoService.log.txt умалчивает. Наверное достаточно будет указать, что этот файл тоже будет отправлен. A word from the weary. So I clicked on the provided download link and saved this supposedly-new version. However, before running it I decided to hover the mouse over the download inside Windows Explorer, and tThe pop-up indicated that this download was Zentimo 1.6.3.1219 not something newer. 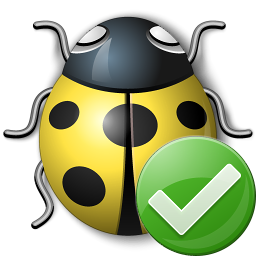 XStorage Manager’s built-in automatic update checker had already detected v1.6.3.1219 back on 29 May (or thereabouts) and had caused it to be installed already on my system. So this June 5 newsletter caused me confusion, a waste of a few MB of download (not too important), and worst of all a loss of some precious time! From now on, your newsletters should indicate the precise version number, and that there might be no need to do anything if the “About” for XStorage Manager shows this version number already to be installed. Timing and accurate newsletter details are CRUCIAL, to avoid such confusion in future. Terms such as “a small fix for the version 1.6” are not good enough. Sorry for the badly-s[aced feedback above. I made the mistake of using “newline” characters in some places instead of “carrier returns” and this caused your feedback system to bunch the sentences up, eliminating the paragraph spacings that I had carefully placed throughout my text. First of all I apologize for this confusion. Actually we didn’t plan to do the newsletter about this version since it’s a small “fix-one-bug” update and we hoped the majority of our users will update through the built-in notifier. But a week after the release I found that there are still many bug-reports from our customers with the old version come to us. Perhaps they disabled the built-in notification about new versions or just skipped it. Therefore we also did the newsletter just to decrease the number of users with the mentioned problem. Anyway you are absolutely right regarding timing and accurate newsletter details and we will try to do this right next time. I reported the following issue some months ago and as I did not get any answer I resend the problem report a few days ago and now I am posting it here. Zentimo treats all the SD cards that I insert in my PC’s integrated card reader as the same SD card. Is it possible to set different autorun setting to each SD card? I would like to be able to save device properties in only some cards and not in all or in none of them. Hi, It would be useful when sending a bug report to have the option of sending a copy to myself. Otherwise it is difficult to track them – would be easier with a forum. I have just reported a (for me) showstopper bug where Zentimo breaks the virtual drive feature of PowerArchiver. is it running on windows 8 ?